On August 5, 2012, an unusually strong storm formed off the coast of Alaska before moving into the central Canadian Arctic. Climate scientists from around the world watched satellite imagery in wonder as the storm churned, breaking up sea ice cover that was already heading to a record low. The storm, formed at a time of year when weather in the Arctic tends to be benign, lasted nearly two weeks. It proved to be the most powerful Arctic summer storm on record and rivaled some of the worst winter storms the Arctic has ever seen. Named “The Great Arctic Cyclone of 2012,” the storm was just one of many recent surprises in the polar regions, which suggest that rising temperatures and changes in ocean circulation may be accelerating much more quickly and powerfully than anyone anticipated. For example, three major storms recently swept into Alaska’s Yukon-Kuskokwim Delta, resulting in flooding that extended 30.3 km inland in 2005, 27.4 km in 2006, and 32.3 km in 2011. Furthermore, this year’s forest fires in Canada’s Northwest Territories are shaping up to be the worst on record, rivaling the 2004 fires that destroyed 4.2 million hectares of forest in the Yukon and Alaska, as well as the River tundra fire that accounted for nearly 40 percent of the acreage burned in Alaska in 2007. With sea levels rising, fires burning bigger and hotter than before, and Arctic storms increasing in intensity, climate change in the Arctic has implications for mining, onshore and offshore oil and gas developments, and commercial shipping. The results of climate change are affecting commercial fishing, reindeer herding, aboriginal subsistence hunting, and the Arctic’s mid-latitude climate regulation. Additionally, as the Arctic warms, the polar jet stream that drives southern weather systems is taking an increasingly circuitous route over the northern latitudes. These systems tend to linger more, which often poses dire threats to drought-ridden or rain-soaked regions. What the future Arctic will look like, however, is not entirely clear. But scientists can predict certain events with some certainty. Summer temperatures will rise dramatically, resulting in a seasonally ice-free Arctic Ocean by 2040 or sooner. A decade after, two-thirds of the world’s polar bears will be extinct, as will a third of the 45,000 lakes in the Mackenzie, the North American Arctic’s largest delta. By 2100, when trees and shrubs overtake much of the tundra’s grasses and sedges, traditional habitat for barren-ground caribou and reindeer will have shrunk by as much as 89 percent. Additionally, as forest fires increasingly take their toll, coniferous forests will be largely replaced by deciduous expanses. This picture of a future Arctic may well be more daunting than scientists are comfortable talking about in public, or even on paper. University of Alaska biologist Ben Abbott and University of Florida researcher Edward Schuur recently asked 41 climate experts about the percentage of the surface permafrost expected to thaw by 2100, the amount of carbon likely to be released, and the amount of carbon that will be methane. The scientists predicted 1.7 to 5.2 times more carbon will be released than reported in recent modeling studies, which used a similar warming scenario. In 2013, Abbott and Schurr surveyed climate and fire experts about the quantity of boreal forest and tundra that would likely burn in the future. Like the permafrost survey, the predictions were much worse than that which experts had previously estimated. 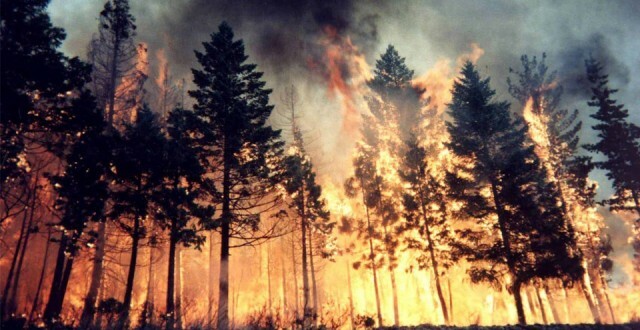 They calculated emissions from boreal forest fires to increase by 30 to 90 percent by 2040. While there’s nothing that can be done to stop the Arctic from getting warmer in the short term, a rigorous assessment of the Arctic’s future is necessary. It could help decision-makers understand what to expect in the region and, thus, which low-lying Arctic communities need to be shored up, moved, or made fire-safe. It could guide them in designing better regulations for pipelines and roads built on permafrost, as well as for commercial shipping and fishing. A long-term assessment could also help wildlife managers identify in advance which species are most at risk and which ecosystems are worth protecting. Ideally, this international forum would bring scientists, aboriginal people, and industry and decision-makers together to format a future roadmap for the Arctic. Structured properly, it could result in small-scale local initiatives that address immediate threats like forest and tundra fires, rising sea levels, coastal erosion, wildlife population declines, invasive species growth, resource development, commercial shipping, and the possibility of an oil spill. Theoretically, the solutions fostered from these local initiatives would be shared with decision-makers throughout the polar world. The so-called Age of the Arctic may well be here, but there will continue to be surprises for which we are not prepared unless action is taken soon. Edward Struzik is an author, journalist, and regular contributor to Yale Environment 360 and a fellow at Institute for Energy and Environment Policy at Queen’s University in Canada. His next book, Future Arctic, Field Notes from the Edge of the World, will be published this fall.